We hope you enjoy reading our uplifting books below. All twelve books below are the complete book and total 5,800 printed pages! Every human heart has a deep desire for the eternal - This book will answer the most important question at the heart and soul of humanity. That question is, "Why are we here and what purpose do we serve?" 126 pgs. This book gives a brief picture of the final hours of our Savior. From the Garden of Gethsemane, the betrayal by Judas, Pilate's judgment hall, Calvary and the Resurrection. 150 pgs. Read stories from the OT in great detail - from the story of Creation in the Garden of Eden, the flood, Moses, through the life of David. 755 pgs. It covers the first half of the Old Testament. Read stories from the OT in great detail - from the story of Solomon's glorious reign over Israel and continuing through the remaining kings of Israel and Judah. 733 pgs. It covers the second half of the Old Testament. Outside of the Bible, one of the most in-depth and uplifting books ever written on the life of Christ. The purpose of this book is to set forth Jesus Christ as the One in whom every longing may be satisfied. 855 pgs. It covers the four Gospels. Read thrilling stories of of the early Christian church. Fierce persecutions and unswerving loyalty to God. Stories of Peter, Paul, James, John, Luke, Stephen, Mark spreading the gospel. 633 pgs. It covers the New Testament starting with Acts. Read now one of the most eye opening books for these last days of our earth's history! Learn what's ahead regarding the last days and the Second Coming. Learn about the history of God's Church and the Protestant Reformation. 678 pgs. Learn the history of the world - from the fall of Lucifer in heaven to the 2nd Coming. At the heart of the book is the redemption of man wrought by Christ on the cross. This book covers the whole Bible from Genesis to Revelation! 433 pgs. The parables of Jesus literally come alive. Stories of the shepherd, the builder, the tiller of the soil, the courtroom, the wedding, the two worshipers, the wheat and tares, the traveler, and many more. 421 pgs. Read the thrilling stories of our Lord and Savior's life, from His lowly birth to Calvary, but in such a format that even a child can understand it. In its simplicity, it speaks to the hearts of the young, and people of all ages! 186 pgs. The sanctification set forth in the Sacred Scriptures has to do with the entire being - spirit, soul, and body. Here is the true idea of entire consecration. You will learn that true sanctification is an entire conformity to the will of God. 96 pgs. This book will answer nearly 4,000 Bible questions in a simple question and answer format. 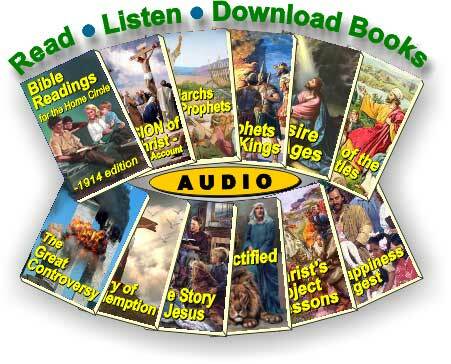 The 201 Bible Topics have been prepared in a simple question and answer format, with the answer from the Bible. 790 pgs. 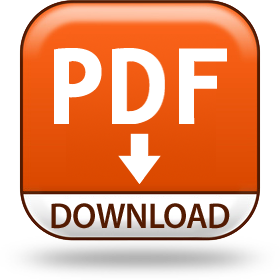 You can download all twelve of our books below in PDF format, which can be read on your computer, tablet or smart phone offline. They have very large, easy to read fonts.